Mare Crisium, Proclus and Macrobius with a mono camera. 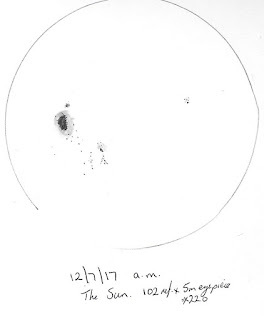 A 102mm refractor, F=1100mm was fitted with a Herschel wedge and a sketch of the sunspot group was made. 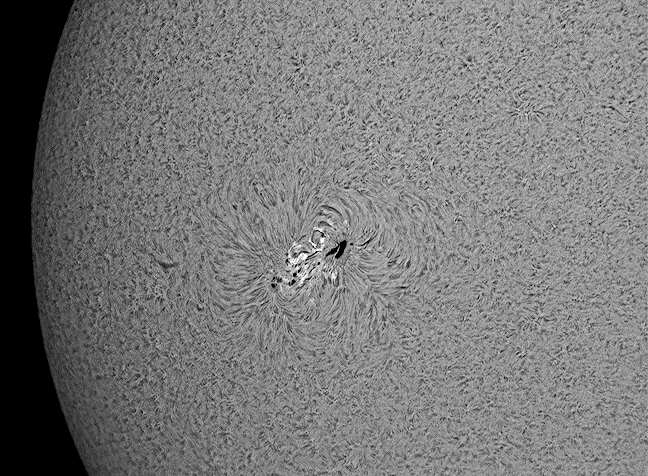 A Solarmax II, 60, BF15 H-alpha telescope was mounted on an iOptron Cube Pro, AZ, GOTO mount. 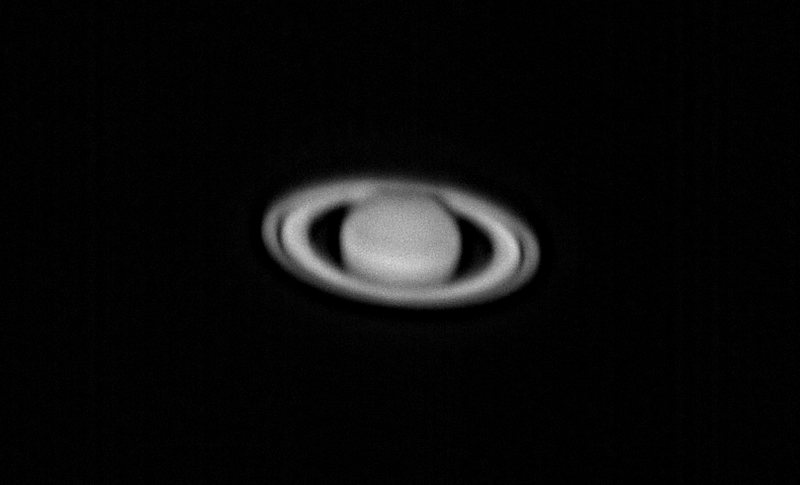 A DMK 21AU04.AS camera fitted with the lens from a x2 Barlow was attached to the scope. 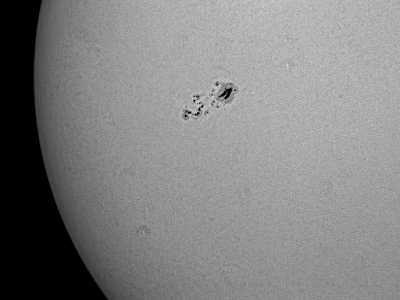 A 5000 frame SER file was captured of AR 2665 and surrounding area, using AstroDMx Capture for Linux. 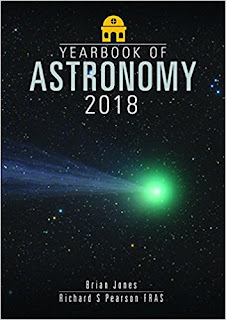 Then the etelon was completely de-tuned from H-alpha revealing the sunspot group as it appeared in red light and a 5000 frame SER file was captured. 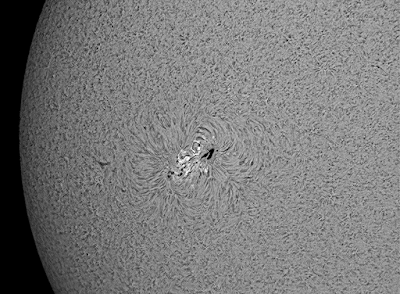 The best 20% of the images in the SER files were stacked in Autostakkert! 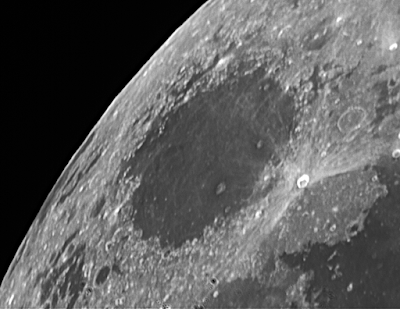 3, and wavelet processed in Registax 5.1, both running in Wine under Linux Mint. The final images were post processed in the Gimp 2.9. An animation was made of the transition of the view of the active region from the photosphere view to the chromosphere view.